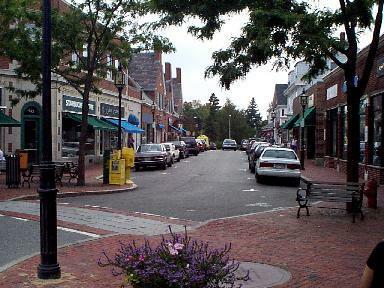 Winchester, Massachusetts is a quiet, bedroom community conveniently located just 8 miles north of Boston. Winchester is home to several lakes and parks. Winchester is a family-friendly community that is home to several well-maintained parks, several lakes, and lots of trails. Browse all homes for sale in Winchester, Massachusetts below. Contact us to schedule a showing or if you have any questions. Create an account to save your favorite Winchester listings and to receive email notifications when similar properties become available. This stunning colonial in the Flats takes dream home to the next level! Kitchen features granite counters, large island, Thermador gas range, Wolf microwave/ovens, Sub-zero fridge & radiant floor heat. Family room adjacent to kitchen w/ exterior access, formal dining room & sitting room, living room with dramatic brick fireplace & ½ bath complete 1st floor. Soak up modern luxury in the master suite: bedroom boasts a gorgeous brick fireplace, rounded bay & celeb-style closet with California Closet built-ins, & the ensuite bath features mosaic tiles contrasted w/ striking granite. 4 additional bedrooms, 1 full bath & laundry hookups complete 2nd floor. The 3rd floor has 2 bedrooms, 1 full bath & large playroom/office. Head to the finished lower level to relax in the media room, break a sweat in the personal gym, throw in another load of laundry or store off-season items. Enjoy the warm weather in the spacious backyard. 2 car garage, close to schools, Winchester Center & commuter rail. Renovated 11 room home in the desirable flats area with inviting front porch offering the charm and character of historic Winchester, with amenities and layout desired today. Magazine worthy kitchen/dining/ family room renovation just completed with a new design that will wow every buyer! Open concept first floor with 3 rooms directly overlooking gorgeous and private rear yard w/ deck, patio, mature landscape and an abundance of privacy. Oversized 2 car new construction garage is a huge bonus and rarely found in this part of town! Prior renovation includes new front porch, roof, windows, heat, a/c, baths, plumbing, electrical, large brick patio great for outdoor entertaining. Second floor w/4 beds, 2 full baths & laundry room. 3rd level offers 3 sun drenched BR's & full bath. Master bed suite w/ spa like bath; oversized steam shower w/body sprays/bench/surround sound, radiant flooring & towel warmer. This home is move in ready, close to the center & train to Boston. Ambrose School !